Replace the 135 Burrard Stn-SFU route with 95 B-Line service along the same route. No word if all door boarding is part of the change. Terminate the 160 Burrard Stn-Barnet Hwy-Port Coquitlam service at Kootenay Loop. It no longer will go downtown. Eliminate 190 Downtown-Barnet Hwy-Coquitlam service. Eliminate mid-day West Coast Express TrainBus service. It is replaced by the Evergreen Line and an extended route 701 from Coquitlam Central to Mission City. The 5/6 Davie/Robson becomes a circle route serving the West End, Pender St. and Yaletown. Public reaction to the Davie St. leg will be interesting as the route no longer serves downtown directly, something it has done since streetcar days, and its Expo Line connection becomes a walking transfer from Cambie St. and Dunsmuir St. to Stadium-Chinatown Stn. The C21/C23 Community Shuttle routes serving Davie St to Main St. Stn are replaced by regular route 23 along Beach Ave. This is a frequent service route that improves service to an area that needs it. Details of the above are at http://www.translink.ca/en/Schedules-and-Maps/Transit-Service-Changes.aspx. The Pattullo Bridge Replacement Project has completed Phase 2 of the Community Connections Consultation. There were 2,233 participant interactions in this phase – most of them through on-line feedback. 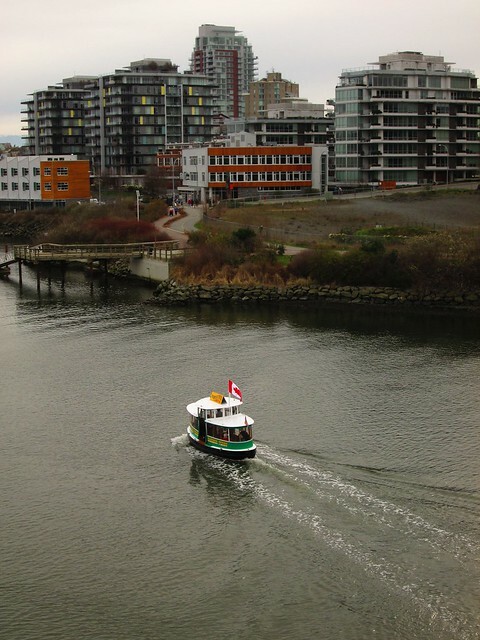 TransLink has submitted the project to the province’s Environmental Assessment Office. More information at http://www.translink.ca/en/Plans-and-Projects/Roads-Bridges-and-Goods-Movement-Projects/Pattullo-Bridge/Pattullo-Bridge-Replacement.aspx. CTV News filed an FOI request with TransLink for correspondence with Cubic Corporation, the Compass Card vendor. Three TransLink letters were released but Cubic refused to release its responses. The letters document problems with the bus validators, fare gates and West Coast Express validators. TransLink stated that Cubic had not met the quality levels required for these items. There is no information on the resolution of the difficulties. 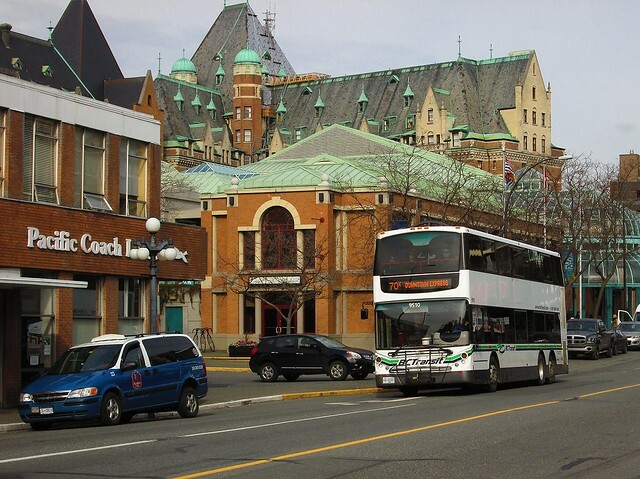 However, the news item states that the difficulties led TransLink to implement the single fare zone for bus trips. It hints that TransLink is “revisioning [whatever that means] the tap-out on the bus” as the technology seems to be working satisfactorily now. In an interview that is part of the CTV clip, TransLink’s Vice-President of Information, Lloyd Bauer, confirms that the Compass Card has increased fare revenues by 7% ($20 million in seven months). The need for this article, right now, is almost purely academic. The ruling BC Liberals seem immune to widespread obloquy over not one but a series of scandals any one of which might have brought other kinds of government down. Yes Translink is a problem for those of us living in the region – and that is, numerically at least, the majority of the BC population. But that is not the way politics works here, and Christy Clark seems able to serve out the rest of her term. And anyway there are plenty of other issues where she is at odds with most of the people who live here, but can survive at least until the next election. The reason I decided to start writing was a piece in BC Business entitled “How TransLink might fix its broken business model” which is nearly a month old now but its author, Frances Bula chose to tweet it again to-day, which caught my attention. Basically the article looks at the turn around in Atlanta, and speculates about a similar approach here. The problem in Vancouver is not management. It is governance. The present model is unaccountable and unrepresentative. It was imposed by a provincial government that has clearly demonstrated that it has absolutely no interest in seeing it work. The province has always had a policy that transit is different to other types of public service, and needs a unique approach. It interferes continually but, at the same time, refuses to fund transit properly while spending far too much on road expansion. A referendum is required for any new funding mechanism, but is never required for any highway project – or indeed any other type of provincial spending/funding decisions. And Jordan Bateman will always be only too happy to torpedo any proposals that might actually work to improve the situation as that would rob this one trick pony of his audience. A new CEO is not going to be able to change the governance. Only the province has the ability to do that. This government never admits to any of its mistakes. Only a change in Victoria as complete as the one just seen in Ottawa is going to make any difference. The current arrangement has been cobbled together to suit the BC Liberals of the day. It makes no sense now to continue with it, and the easiest point to start might be to unpick what they did by simply repealing their legislation, and go back to the former GVTA. Except that was not exactly popular either, and for very good reason. In its first iteration it was a new body run by some but, not all, of the Mayors with some acknowledgement of the varying sizes of the municipalities. This method of indirect representation is similar to that of Metro Vancouver, responsible for waste disposal and water delivery, regional parks and planning, but there all the Mayors get a seat at the table but with weighted votes. Translink was supposed to have been a transportation agency – with responsibility for some bridges and the Major Road Network (MRN), but this was really only provincial downloading of responsibilities that would have happened anyway. One of the worst decisions, in terms of its financial impact on Translink, was to replace the Albion Ferry with the tolled Golden Ears Bridge, which has created a huge drain on the agency’s revenues as traffic has never come up to expectations, and revenue risk was not transferred to the P3 – which pretty much vitiates the reason for using that method of funding. Apart from that the MRN seems to have worked well except for one long running argument over a bridge between New Westminster and Coquitlam. On the other hand the ill conceived North Fraser Perimeter Road was soundly defeated and has yet to re-emerge. Though it almost certainly will if the Ministry engineers get their way – as they usually do in the Long Run. I have long argued that indirect elections are a recipe for discontent. Mayors are not elected on regional issues, and tend to adopt a stance that is defensive of their turf before any regional consideration. But no matter how much you might dislike what your Mayor says over regional issues, they are not the deciding factor come election day. We need representative and responsible government and you do not get that by holding infrequent, contentious non binding plebiscites. The governing body has to be an advocate of better transit, because this region has historically been underserved for most of its existence, and is the only feasible way for a region of this size to function effectively. 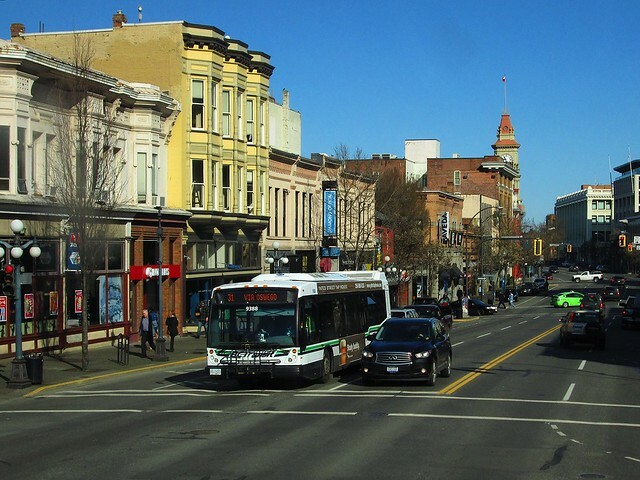 Transit is not only vital to the economy, it is also essential to tackle our most pressing environmental and social issues – and those include affordable housing. Where you chose to live determines how much you travel and the concept of affordability has to include costs of housing AND transportation if it is to be meaningful. And while the province will never make any concessions over the needs of longer distance travel and transport, nor will the federal government in terms of ports and airports. Both levels of government have effectively abandoned their responsibilities with respect to housing but that is not sustainable and will inevitably have to change. And while technological changes may well have some dramatic impacts on how we use the transportation system they are unlikely to reduce demand for movement of people and goods overall. It is also obvious that you should not plan just for transport as though it was not intimately enmeshed with land use. Sadly, we continue to behave as though the two subjects were unrelated – even if we give the idea of integration at least lip service if not substantive commitment. By and large, when new transit lines are planned it would be much better to get them up and running before the people arrive, if you do not want them to get used to driving everywhere first, which is what has been happening. So, given that Metro Vancouver seems to work acceptably, why would you not just put Translink under its command? I think that is a temptingly straightforward solution but not one that satisfies the need to improve accountability. Much better I think to reform both at the same time and hold direct elections for regional government – with a Mayor for Metro. This is the solution that was adopted in London. Mrs Thatcher abolished the Greater London Council, but then balked at privatising and deregulating London Transport. It was the proverbial dog’s breakfast and did not last for long after she was deposed. The Greater London Authority and its directly elected Mayor now runs Transport for London – and some related issues that have been downloaded including taxis (which used to be run by the Home Office). Much of the transit service is contracted out, but there is a single integrated fare system, and some of the local train services have been transferred from the national rail system to the Overground. The huge issue that I have not so far dealt with is the need for much more investment in transit as well as increasing need for revenue support – if only because the use of gas tax revenues has been a victim of the system’s very success at getting people out of their cars. Property tax is not going to be accepted, and the province needs to become much more responsive to the needs of people to get around without a car. This applies as much outside Vancouver as within it. It is absolutely baffling why the province refuses to set up a transit service along Highway 16 (“The Highway of Tears“) between Prince George, Terrace and Prince Rupert. That has to be part of the solution to terrible loss of life due to aboriginal women being forced to hitchhike as the only way to get to essential services. Victoria’s need for rail based transit could not be more obvious, nor so long obviously ignored. Restoring trains on the E&N is only a start. So yes there is going to have to be more provincial money for transit, and the roads budget is the place to start. We simply cannot afford more freeways and gigantic bridges. We also need to raise money fairly and equitably. Income tax and corporation tax are the obvious places to start, and the odious fees and charges levied without reference to ability to pay have to be abolished. So much less reliance on BC Hydro, ICBC as revenue sources, no more MSP and a thoroughgoing reform of BC Ferries to make it once again a public service and not a pretend corporation. The wealthy can readily afford to pay more tax. There has to be an end to all the corporate welfare, especially subsidies and outright give-aways of natural resources. There will still need to be fossil fuels, but levying reasonable royalties (cf Norway) has to be central to public finance. Carbon tax has worked, to some extent, but the “revenue neutral” mantra has to be abandoned. We have to switch away to renewable energy sources at a much faster rate, and a lot of carbon is going to have to stay in the ground. At the same time, we have to recognize that far too many people are currently living a hand to mouth existence, and cannot absorb more levies fees and tax increases. We have to be more socially responsible, but this also will often mean better ways of doing things. It is cheaper to house people than it is to cope with the costs of homelessness. The war on drugs is unwinnable, but recreational substance use can be a useful source of revenue – and self medication. The idea that we can reform Translink by tinkering with its PR and “business model” (whatever that means) is delusional. And like any interdependent ecosystem, we cannot just pull on one or two strings and expect the web to stay intact. But we can also readily identify where the current policies have not worked and cannot be made to work better just by getting tougher. Most of the knee jerk right wing responses are ill informed and unsupported by any credible data. Better policies are in place elsewhere and we can find better examples than the one we have been so blindly following. And none of this is a stand alone issue. It is long past time for some joined up thinking. One change Mr. Fassbender said he’s not going to consider at all is another reorganization of how TransLink is governed. When the agency was first created, 12 mayors sat on a board that directed TransLink. The province changed that in 2007 to have the board composed of non-political appointees. It was my 66th birthday, and we decided to celebrate by taking a trip to Victoria. 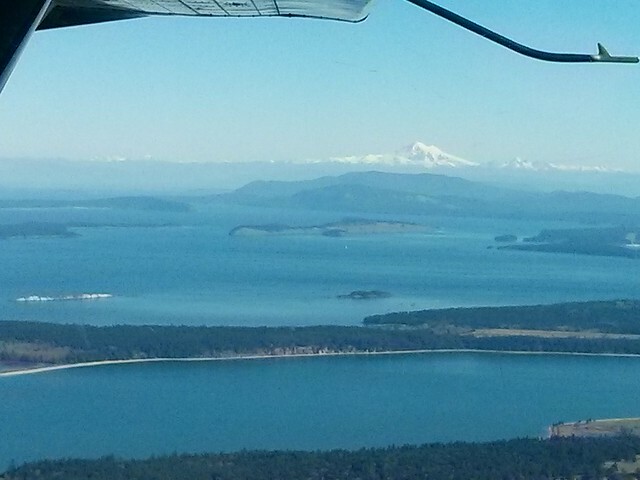 My partner had not been on a trip in a float plane. They do not fly at night, and anyway we had tickets for the Cultch on Friday night, so we left on Saturday morning in bright sunshine, with not a cloud in the sky. This was taken with my phone. A Canon A1400 PowerShot is a neat little point and shoot, but boy does it ever chew through its 2 AA batteries. I had spares in my bag, but that gets stowed at the back on a float plane, not under the seat. Mostly we walked around Victoria, but we did take the bus out to the Belfry Theatre on Saturday night. The Transit app on my phone worked brilliantly, as long as we had access to wifi. Victoria does have free wifi on part of Government Street, but the quality is highly variable. We noticed that BC Transit still uses paper transfers, and that buses do not have an on board display of the next stop: operators and other passengers were happy to help. We had to get a taxi back to our James Bay hotel, as the bus had stopped running by then. There is, apparently, no shortage of cabs in Victoria on a Saturday night. By the way, most passengers seemed to use passes, which they swiped through the reader on the top of the farebox. Cash fare is $2.50, no discount for seniors using cash, but equally nothing extra for the express bus all the way out to Swartz Bay. 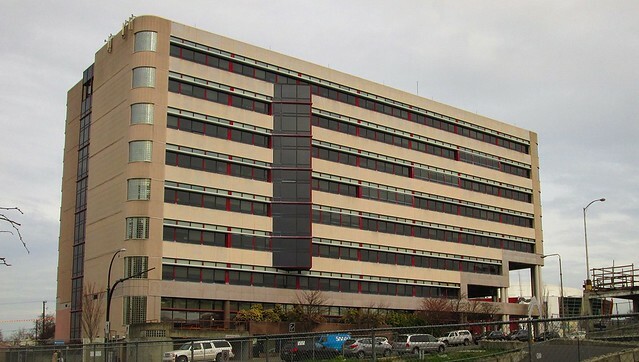 I used to work in Victoria for the Ministry of Energy, Mines and Petroleum Resources, which was then in the Jack Davis Building on Blanshard Street. There is nothing on that building now to indicate who is using it. Across the street, where the Bay used to be is now a condo development, which has retained the frontage and has a public market on the ground floor which is something I strongly recommend you include if you visit. I am sure if we had been staying longer we would have used Farm Food To Go. What sets markets like this apart is that the people behind the counter actually welcome the opportunity to talk. There was, for instance, a man running a chocolate stall who was not so much a salesman as a missionary. I still cannot understand why we did not actually buy any of his remarkable varieties of chocolate. Probably the “too many choices” problem. 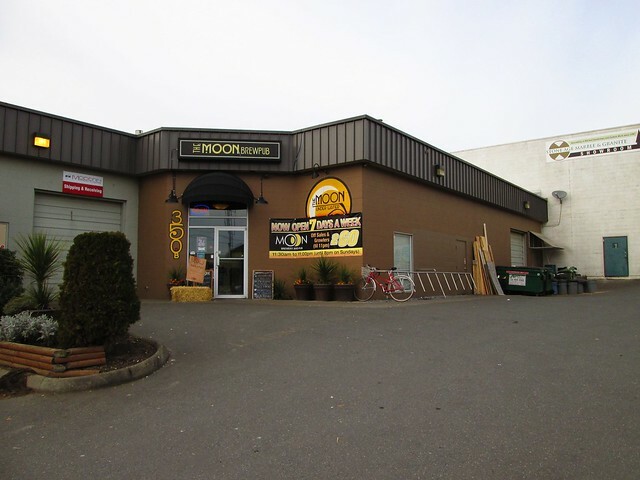 There are plenty of microbreweries and brewpubs in Victoria – and many of the longer established ones have been shipping products to Vancouver for some time. Moon Under Water was new to me – and the bus driver. Unfortunately many breweries suffer due to our weird planning system – which treats them as industrial activities, and this puts them out of the way of the average visitor. Spinnakers has been established longer than anyone else, and will probably be where we choose to stay for the next trip – whenever that is. It has an unbeatable location – only a short Water Bus ride across the harbour for us, and a local told us of the phone number to call that gets you in touch with one of the skippers, who will get a boat to you to pick you up, if you cannot see one in the vicinity. The trip back on Monday was intended to be more multi-modal than the way out, and a lot cheaper. BC Transit bus #70 to Swartz Bay, walk on to the ferry, then Translink bus #620 to Bridgeport and on to the Canada Line to King Edward and the #25 home. It will infuriate the No vote trolls who now pester me, but the trip was easy, quick and uneventful. The double deckers on the BC Transit #70 up the Pat Bay Highway are really good British made Alexander Dennis buses, with an unparalleled forward view from the front seats on the top deck. They have been designed to maximize seating, so the legroom is only just acceptable for me, and would be an issue for anyone taller. 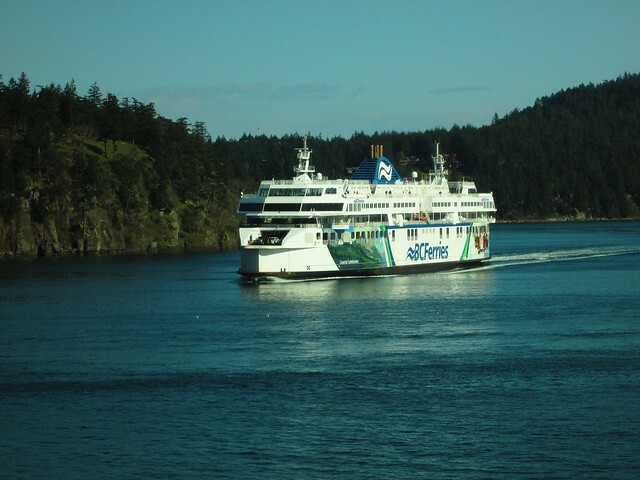 The buses are timed to meet the sailings to Tsawwassen – as well as the hours in between. The schedules are co-ordinated. Similarly when we arrived back on the mainland, there were two newish articulated buses waiting to take people to Ladner, Richmond and beyond. The #620 benefits from bus priority measures so even though there was only one lane northbound through the Massey Tunnel we were not held up at all. Though that would not be true for those who drove. North of the tunnel the highway was nearly empty, and of course the bus turns off before the queue for the Oak Street Bridge – and again the bus lanes work really well. I did find myself acting as a transit guide, even though there was a Coast Mountain employee at the ferry terminal looking after the line up. I recognise, of course, that when you get to a certain age, retaining information can be a problem, so mostly I was just reassuring. Our bus was packed but as a senior I got a courtesy seat – and the bus behind was operating on the load and go principle that I have also seen used at Horseshoe Bay. I do like the quiet of the new hybrid artics, but the view from the inward facing bench seat leaves a lot to be desired. But we made the whole trip with 30 minutes left on our transfers. Which I think is impressive but is pretty much par for the course on that run. There is an option we did not take, which is Pacific Coach Lines, where the bus is loaded on to the ferry: downtown to downtown that costs $40 (not including the ferry) or $30.95 for BC Residents or Seniors both subject to GST. At the time we travelled this was only available for the 09:00, 11:00 and 17:00 sailings. That includes wifi on the bus. I have to say that even when I was standing next to the computer desks I was unable to use the wifi on the ferry, but it was good in the terminals. We stayed at the Oswego Hotel and got a deal booking a few days before departure with Hipmunk. Their wifi was the only issue: you have to keep logging in, and at one point we were not allowed on. I found myself talking to a Bell customer service rep rather than the front desk as they needed an IP address or MAC number for each device. Harrumph. It is quite a well located “boutique” hotel with a decent restaurant – but I am not sure how long that will continue. Over breakfast on Monday morning we overheard what sounded like an audit interview from a prospective chain. I have a nasty feeling that they are going to be swallowed by a franchise operation – which would be very sad. Currently it has a very nice individual feel: it would be shame if it swapped that for corporate blandness. The great transit systems of the Eastern Seaboard are in crisis. In New York, the Metropolitan Transit Authority is operating a subway system strained by record ridership and storm damage, where the increasing regular delays have been supplemented by a series of recent snafus that have stranded tens of thousands of New Yorkers. A meager capital funding plan is in limbo, threatening the progress of long-awaited projects like the Second Avenue Subway. In Washington, ridership on Metrorail is down 11 percent since 2009. Mechanical failures smoked straphangers out of underground stations on three occasions… last weekend alone. In January, a third-rail malfunction near the National Mall caused a smoke-storm that killed one woman and sent 84 commuters to the hospital. And in Boston, a record month of snow has spawned a transportation catastrophe with few modern equivalents. “It’s like a war, we’re taking this back station by station, line by line, switch by switch,” said T chief Beverly Scott. Some parts of the system were shut for days; replacement buses, when they ran at all, created block-long lines in the cold. The city’s tempo shifted into half-time. These are, respectively, the largest, second-largest and fourth-largest rapid transit networks in the country. And despite their differences, they have a couple things in common. First, each of the three agencies shows a streak of incompetence that irritates and frightens commuters. Second, all three networks suffer from a worrisome lack of political and financial support. As Boston’s recent debacle illustrates, it can be hard to sift the pebbles of internal mismanagement from the vast sands of disinvestment. Some of that is extreme weather – but a lot is lack of investment. Which is not just confined to transit of course. It seems to be the hallmark of the Republican approach to government: cut or refuse to raise taxes, spend hugely on the military and prisons but ignore nearly everything else. Then look surprised when bridges start falling down. John Oliver does a good job of explaining what could well become our story too, if the No side wins. Listen to what the callers say when a gas tax increase is suggested. Sound familiar? 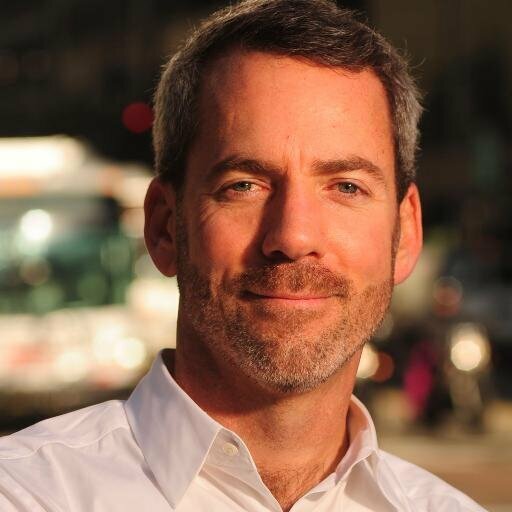 San Francisco transportation planner Jeffrey Tumlin talked last night at SFU mostly about the experience of transit funding referenda in California. The presentation is available on video. Tumlin’s book “Sustainable Transportation Planning: Tools for Creating Healthy, Vibrant and Resilient Communities” is used as part of the Next Generation Transportation course. 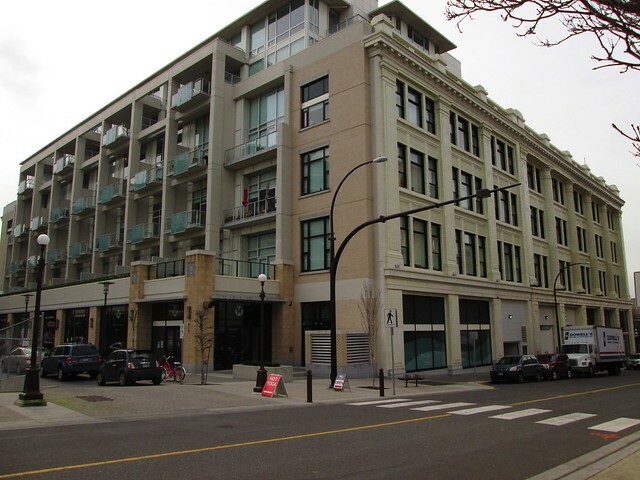 Have you ever been to Phibbs Exchange? It is probably as bad as they get – a dreary, isolated and unpleasant place to wait for a bus, (and one I often use in my own discussions about what is wrong with transit here). Translink has a lot of room for improvement but “it’s also the best that I have worked for.” We invented transportation tax measure referendums in California, and if you think the current experience here is bad, understand that it is so much worse everywhere else. You are right to demand perfection, but don’t let the best get in the way of the good. 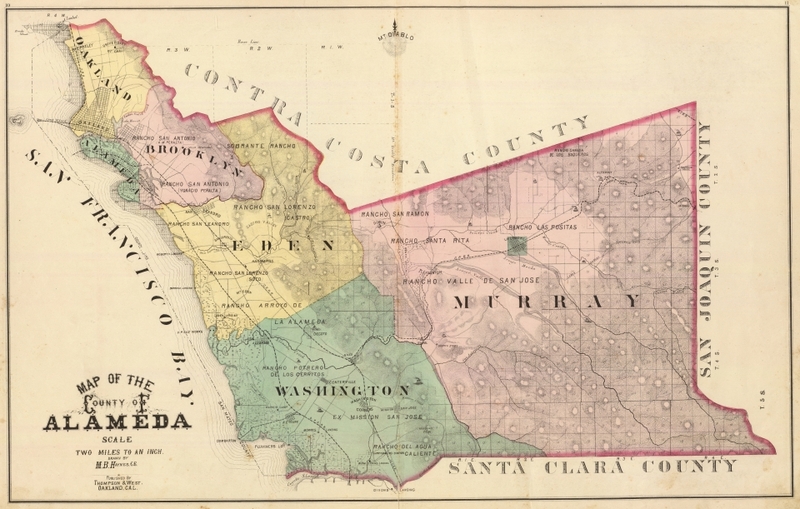 Alameda County in California has 1.6m residents in 14 municipalities and 6 unincorporated areas. The original transcontinental railway did not reach San Francisco – it reached Oakland where passengers transferred to ferries. Up until 1994 it relied on a gas tax to pay for transit but as “funding dried up” in 1986 they introduced a county sales tax, which was risky given that at that time other neighbouring counties didn’t. In a referendum in 2000 a tax increase was approved by 82% of the vote. In California any general purpose tax increase must be approved by at least two thirds of the votes. That means for a vote to succeed there must be no organised opposition since at least one third of the voters are ideologically opposed to any tax increase. There is no federal or state support for transit operations or maintenance. In 2012 Measure B1 a half cent sales tax increase failed at 66.53%. Measure BB in 2014 passed at 71%. That was because by that time there was a coalition “with everyone on it” which adopted a strategy of focussing on “investments that matter to real people”. Communications stressed improvements in safety, efficiency, local streets and maintenance. Some projects were identified but not fully funded. Many projects were tied to housing development and many stressed bikes and pedestrians. The county is half suburban, with over a 70% car mode split. Car drivers voted yes because they understood that if other people switched modes there would be more room on the existing roads for those who continued to drive. Doing nothing would make matters worse. Transit demand is increasing faster than population growth. This is due to demographics. As the baby boomers age and retire, they drive less and the millennials have much less interest in car ownership. Housing prices are actually worse than Vancouver. For many people in a low wage service economy driving is too expensive when housing costs have to be met first. Much of the success of the coalition was from the understanding of the combined affordability of transportation and housing. Every county in California has a similar story. Los Angeles knows that for its economy to succeed they cannot continue to bulldoze neighbourhoods to build freeways through them. Stress people, not mobility NOT focussing on congestion relief. For instance, tell the story of the single working mother who has the challenge of getting her children to and from daycare/school and herself to work – and how expensive that gets if she has to drive. Improve economic efficiency – the space needed to move an automobile is ten times more than any other mode. There is much more people moving capacity if they are not all in cars – for the same space. Everyone should have the opportunity to succeed – which is where the housing and transportation affordability index comes in. “San Francisco is more affordable than Little Rock, Arkansas” simply because it has homes and jobs within easy commute distance and good transit. It is not just affordable housing – its the combination with affordable transportation options. In Little Rock houses are cheap but they are distant from jobs and the only way to cover that is by driving. You do not improve the competitiveness of your region in the global economy by forcing poorer people to live in remote suburbs where they have to drive. Much has been made by the No side of the delays in introducing this smart card fare payment system. The Bay Area has been trying to get such a system established since 1993. It was originally called Translink. It was launched in 1993 and abandoned in 1995. Twenty of the larger transit agencies agreed to relaunch the idea in 2010 . 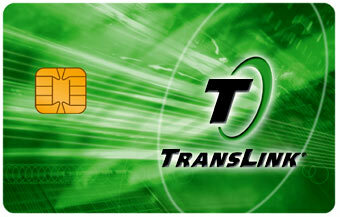 By 2015 only 15 of the 20 agencies have actually implemented the card. Now rebranded as “Clipper” it is hated by all. The problems are many and various. For instance in San Francisco alone there are six transit operators each with their own fare system and no coordination between any of them. In fact there is no better transit system in North America than TransLink. Look for example at Boston, which is currently trying to de-ice 120 year old rail switches. Or Chicago where ancient wooden platforms on the El are disintegrating, dropping debris on the streets below and leaving foot wide gaps. Or BART which has had a disastrous 18 months. “You set the gold standard” for integrating land use, transportation, environment and social equity. In terms of cost effectiveness Vancouver ranks alongside much larger systems like London or New York. If you want to see disfunction look at New Jersey. The one thing where Translink has fallen behind is communications. To some extent this can be attributed to Canadian culture and your dislike of “boasting”. But also Translink needs to get better at listening. Public officials need to be in the limelight all the time. There needs to be a greater focus [in the Yes campaign] on telling stories not wonkishness. In California the campaigns for funding measures last two to five years. Plan B must be to win next time. The new campaign starts as soon as this one is over and will be a lot of work. It has to identify outcome based performance indicators, not just dollars per ride. How you meet economic, environmental and social targets to show tax dollars are well spent. Every $1 spent on transit produces $5 of benefits. 1 “I want better transit but I see the defects of Translink.” The BC Government is the problem. They give tax breaks to the corporate sector and do not step up to the plate to pay for needed infrastructure. We do not have a fair tax system. We have many people who share your values. Sales tax is the worst form of taxation. It is regressive. The poor pay the most and the rich are the least impacted. But we have to live in the real world. The right solution is not necessarily the most workable one. The perfect is the enemy of the good, and the alternative is worse. Pressing for perfection is a recipe for not getting anything at all. Poll results are often different to polling – going both ways. There have been lots of surprises and rapid turnarounds in sentiment. The important thing is the delivery of the message to voters – mainly through tv and radio. There has been rightful criticism and it warrants a full response. The problem is that it is very hard to do that in a seven second sound bite. The Alameda County campaign relied on images and factoids. 3 The current provincial government was elected by the majority. The coalition has a very wide range of organisations within it. The question is did anyone’s views change as a result of your campaign? Tumlin then conducted a quick straw poll of those present. Many there said they were “conflicted” supporting transit spending but mistrustful of Translink or disliking the sales tax. A few who came undecided said they had been persuaded by the presentation. 5 Gordon Price asked if privatisation – perhaps of parts of the system – was a way to improve performance. At that point my notes stop as I stood up and positioned myself to reply to that assertion. I think Tumlin must have dealt with it effectively, as I then talked extempore about the campaign – and how Tumlin’s interview with News1130 had been received by the facebook trolls. I did scribble “governance – none is perfect – Portland Metro” which he said was directly elected – and is certainly an approach I would favour. Privatisation has been a disaster for public services everywhere: and worst bits of the Translink system are privatised – MVT runs HandyDART at much higher cost and lower service levels than the previous collection of mainly NGO and volunteer supported service providers. The Golden Ears Bridge and the Canada Line are P3 showcases of profit for the private sector at public cost. 6 How much do people save when they stop driving? A media campaign is not an information campaign. The best facts are hard to explain. The cost of driving needs to include externalities, and needs to be expressed as an opportunity cost. That is a challenging message to deliver especially to the undecided. You need short messages for swing voters, you don’t have half an hour. It also depends on who says what: it has to be seen to be real. Campaigns that work bring on key people. We found that affordable housing advocates were key – once they got the tptn+housing affordability index thing sorted they could relay that to their clients in meaningful ways. 8 We are tribal social primates. We have no sense of belonging (I think he meant to the region) which has lead to a loss of trust. How do we deal with tribalism? Metro Vancouver is a coherent economic unit and a very effective competitor in the global economy. It is more cohesive than many California metro areas. San Francisco is quite different to San Jose – but it is very difficult to put a simple line between them that does not have boundary effects. In terms of economic productivity the boundaries here are clearer and well set. By tribalism I think you mean that we do not want to pay for other people’s projects. I think the way to deal with that is to engage young people as they are better networked than anybody else – but then you also have to get them to vote. I think you do have here a sense of commonwealth which is missing in the US. You have no idea how bad things can get. No-one can get everything they want. You have to develop a sense of compassion for people who are different to you. We are not in competition. It is in my interest to help you become more productive. In crass politics give them what they need but not all that they want. It is an ugly process. Hire a lot of young people and get them involved in the campaign. Get them to show up at the polls. The Alameda County proposition was lost by 731 votes! 9 Erica Rathje reminded those present that the federal government subsidises the fossil fuel industry with billions of dollars. We will have the opportunity to deal with that in this year’s federal election. Do not punish yourselves locally by denying additional funding that your transportation system desperately needs. 10 The Hong Kong model which produces great transit at no cost to the taxpayer. I am very much in favour of Value Capture. We use a lot of it in San Francisco. Development of land freed up by the removal of the Embarcadero Freeway for instance. The TransBay Terminal is being funded in part by Tax Increment Financing. Impact Fees on residential developments pay for affordable housing. The meeting was large and well attended. Discourse was generally polite – except for some heckling when the first speaker made a long statement which appeared not to include a question. He did get a better reception later, and many people admitted to “feeling conflicted”. I agree. I do to. I think we are being manipulated. We do not have the same antitax Proposition 13 mentality here – and it should not be foisted upon us. I think the speaker was right when he said that if this sales tax proposal is approved, the province can then withdraw from funding transit expansions and concentrate on its favourite road building projects. But I think he missed how much provincial politicians love to cut ribbons on SkyTrain extensions. It will be interesting to see, if Linda Hepner has to proceed with her Plan B, if the province co-operates. Though that risks creating the multi-agency mess that sank the TransLink card in the Bay Area and bedevils their Clipper. My understanding is that the problems of the Bay area are more of Fares Integration and Service Coordination are at the heart of the Clipper problems rather than technology issues. When I came to Canada in 1988 it was to work on FISC between the TTC and GO Transit who had incompatible mag swipe and optical reader tickets respectively. But the problem was not one of technology – a clumsy “TwinCard” approach fixed that – but rather incompatible tariffs and service objectives. Much has changed in the Toronto region since but transit mode share regionwide has not advanced by very much. And the number of agencies has actually increased. The battles in the Bay Area are I think similar and are reflected in the number of agencies and their local loyalties. 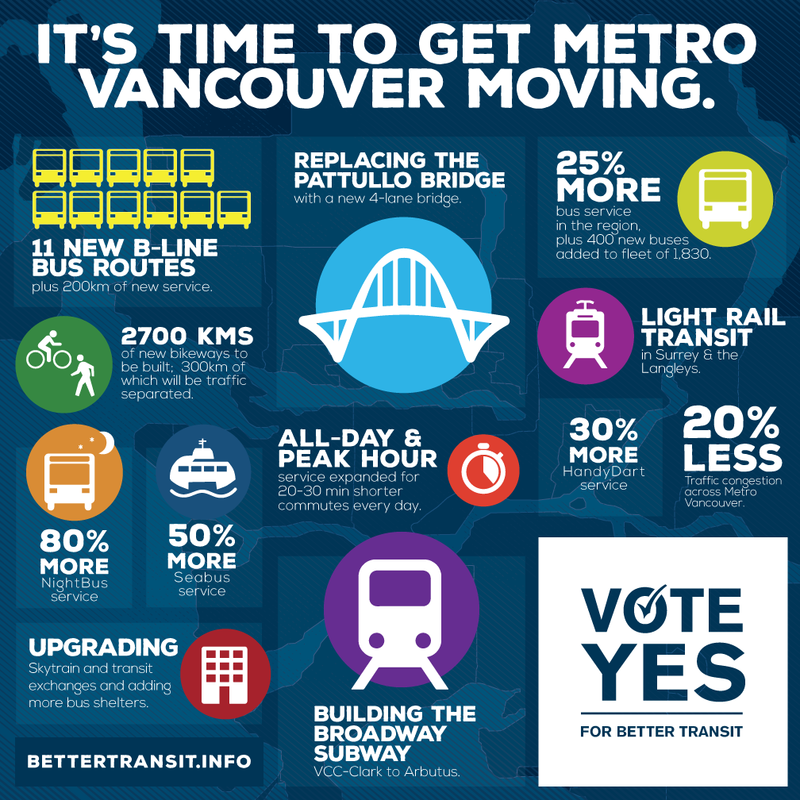 It would be very sad indeed if one of the outcomes of losing this plebiscite is that Translink were broken up into municipal fiefdoms but that seems to be in the back of the West Vancouver Mayor’s mind. As to Value Capture I must say that I am not all convinced that our developers will welcome the Hong Kong approach here. They have been infuriated by suggestions that Translink here get into the property development business. My experience with the first TTC Sheppard Subway proposal was that when developers heard that value capture of station developments would pay for the line construction, they would not give up so much of their profits and would be able to make more by simply taking their development proposals to adjacent municipalities outside the TTC service area. I have also heard here that many developers are becoming averse to the current Development Cost Contributions regime – which they see as capricious and open to abuse. The municipalities meanwhile point out that DCCs pay for parks and schools, community centres and sidewalks, and other desirable amenities. They do not wish to relinquish this source of funding to the regional transit system which has more nebulous local benefits, in their view. Here is more about the use of value capture for rapid transit. The title is a tweet by @Vangreens. I am a member of the Vancouver Green Party and I have supported their current campaign – although as I did not pay $100 or more, that does not show up in their public declaration. This blog post is my response to the tweet, simply because there isn’t a way to say this diplomatically in 140 characters. I do NOT support a referendum for transit. On the whole the move towards more direct democracy has been used by right wing ideologues who think that voters hate paying taxes and will vote them down. Seattle, of course, is now being cited as a success. Indeed of the transit questions on the US ballots in the most recent midterm elections, voters said Yes on 65% of them. That’s not bad, but I do not take a lot of comfort from it. As many people have pointed out, there was no suggestion of a referendum for the widening of Highway#1, Port Mann Bridge, SFPR package. Nor will there be one for the replacement of the Massey Tunnel. There wasn’t going to be a referendum on BC Ferries either, but I was very impressed indeed with the speed with which Todd Stone moved to quash the idea that the ferry from Horseshoe Bay to Nanaimo might be cancelled. And that after the BC Liberals had tried to pretend that making the organisation a company rather than a crown corporation would reduce political interference. Which, of course, is still rampant at BC Hydro and ICBC which have both been used as (regressive) revenue sources to replace fairer taxes. It seems to have been generally accepted in the mainstream media than “money is tight”. For instance, CBC tv news a few nights ago was looking at why school playgrounds must be paid for through PAC fundraising and not taxes. Money is not tight at all. We are so flush with it that we are paying over the odds for money borrowed for infrastructure projects. BC bonds would pay 4%: going through the P3 process means we now pay 7%. The Auditor General is not impressed. The terms of the “transit” referendum have not yet been announced, although the Mayors have set out in detail what the funds would be spent on. We also know that the Province has been busy making sure the question will conform to their policy straight jacket. So the carbon tax is out. 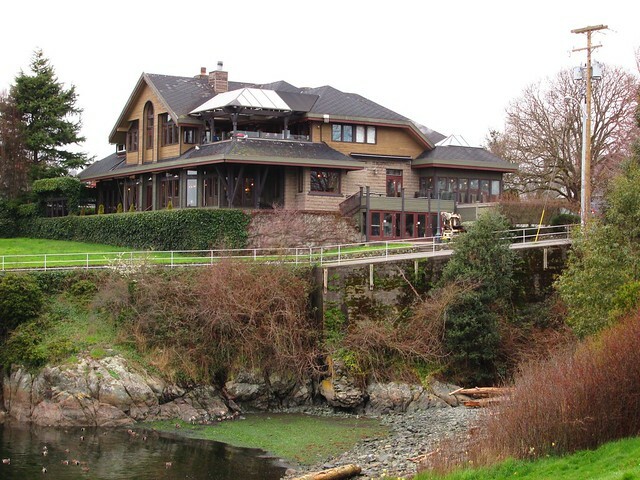 The province continues to push for more property tax as well. If the use of referenda were more widespread and the questions more open, I might be more inclined to support them. But I do not think that it is a good way to increase participation in politics. The questions have to reduced to sound bites, and populism is more likely to win than policy analysis. Not that in our system politicians pay much attention to that, even when they have set up the system themselves (see BC Ferris above). The need for this region is much more transit. The referendum will be about much more than that. Translink is a transportation agency, which means the province was able to lumber it with a number of problem structures – Patullo, Knight Street and Canoe Pass bridges – all of which were in need of expensive upgrades. The Major Road Network was devised as a way to get support for the new agency from suburban Mayors who were going to get provincial highways downloaded onto them anyway. Some of the questions that got turned down in the US had significant road measures tacked onto the transit elements in an attempt to make them more acceptable to the sort of people who vote. I am afraid that what we have seen so far is that inevitably the referendum will be a way to pass judgement on Translink. Just as the midterms were used to pass judgement on POTUS even though his name was not on any ballot. I think that in BC we need to see a fairer tax system which extracts more from large corporations and the exceedingly wealthy individuals who have done so well from the tax cuts of recent years. I would like to a general roll back of flat fees and charges for public services, to be replaced by a truly progressive income tax system. Those who can afford to pay should pay more than those who have little. It is time to reset the balance. Inequality has become extreme nearly everywhere. The few countries that have resisted the pressure of the Chicago school have done better economically as a result. I do not accept that there is no money for transit in Greater Vancouver. I do understand that it is unpopular in a political system where constituencies outside the Lower Mainland have far more electoral power than we do. I also understand that politicians who repeat the mantras of the right will get better treatment in the mainstream media and thus from voters. It does not make them right. There ought NOT to be a referendum and I oppose it. But since there is going to be one anyway, we Greens had better make sure that we get over the pass mark. Note too that there was a referendum, not so long ago, on a better voting system. That followed a remarkable public consultation process, and was supported by more people than opposed it. Just not quite enough to get the supermajority required by those who benefitted most from ignoring both sense and popularity.